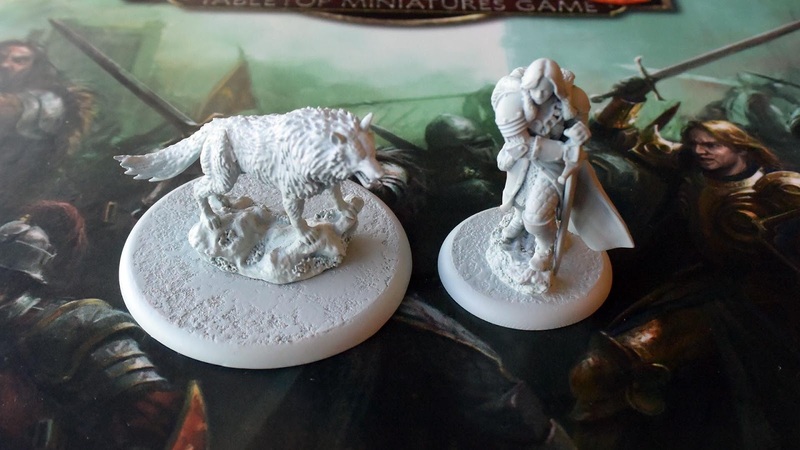 Battles can range from large-scale wars with hundreds of miniatures, to simple skirmishes between a few units without complicating the elegantly designed rules. The game features several unique systems, including alternating activations that keep the players engaged; a Rank System that changes a unit’s capabilities as the battle rages on; a Tactics System that provides strategic powers fuelled by a finite resource each round; and, most importantly, the iconic Heroes, such as Robb Stark and Jaime Lannister, that can change the course of war both on and off the battlefield. 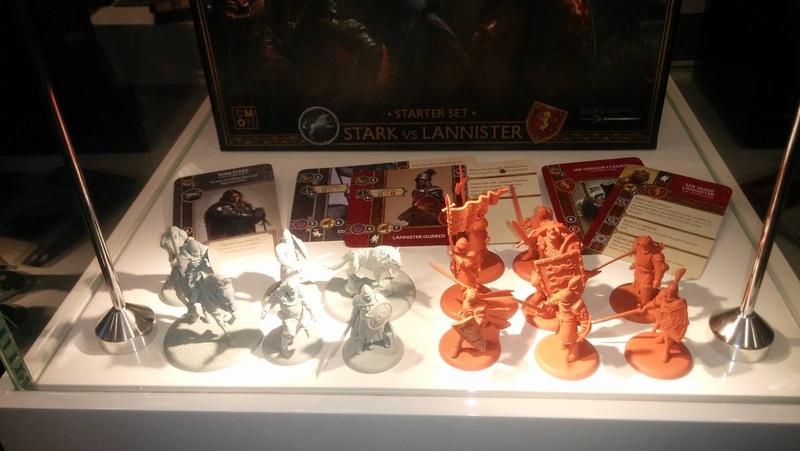 The game was announced at GAMA Trade show and there have been plenty of images of the prototype miniatures showing up and I must admit they do look pretty sweet. 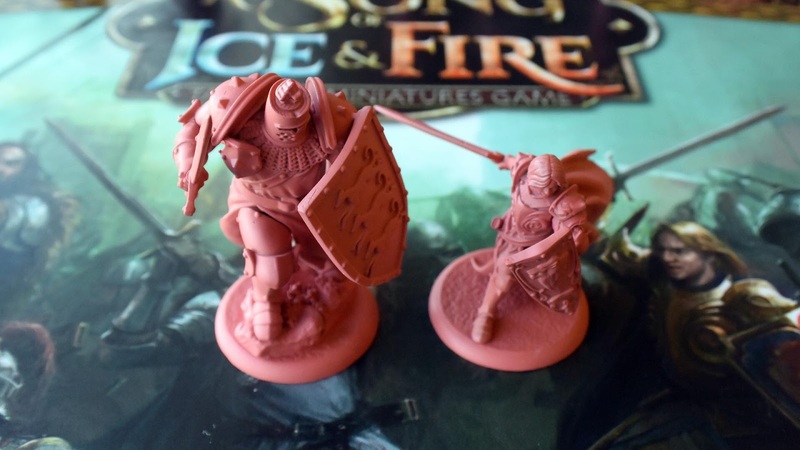 If you’ve been a visitor to Salute they may look a little familiar as the game has been developed in conjunction with Dark Sword Miniatures, who have been showing off their George R.R. Martin Masterworks range of miniatures at the London wargames show for some time. 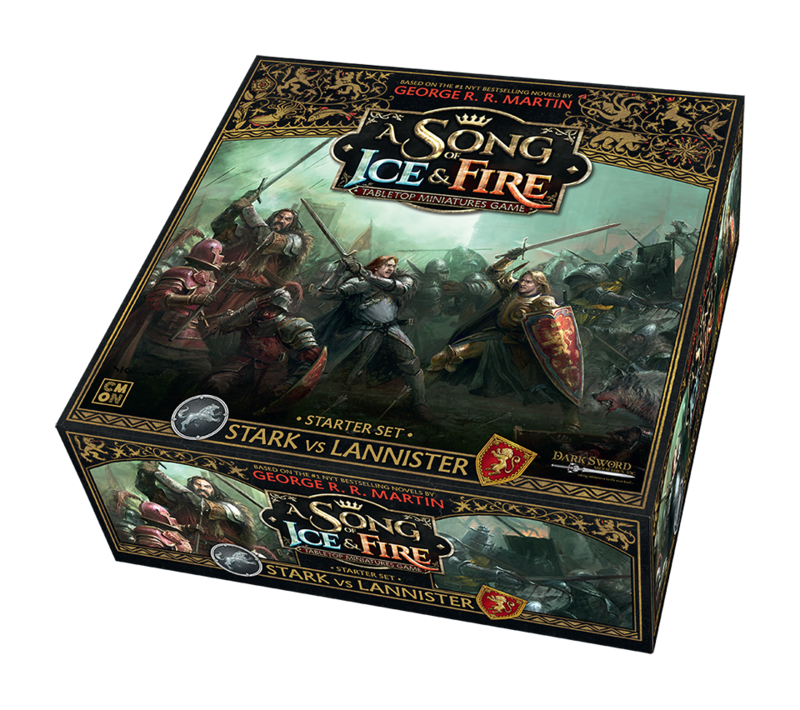 The starter box for A Song of Ice & Fire Fantasy Miniatures Game will feature Stark versus Lannister and will be coming to Kickstarter sometime in 2017.